Please check the donations for what's already been donated. ✔ Scrapbook Overtime operates on a first come, first serve fashion. ✔ You can donate to overtime even if you donated to that deck before! ✔ For donating you'll receive 3 random cards and a random crayon. ✔ This Scrapbook will remain open until all spots are filled. Please use this form when donating or your donation will not be considered. Please check the donations for what's already been donated, and please also consider donating to Scrapbook 208 if you haven't already! ✔ You may not donate more than once to the same scrapbook. Second half will come up tomorrow or whenever all spots are filled, whichever happens faster! ★ Feel free to suggest future scrapbook themes at this post! 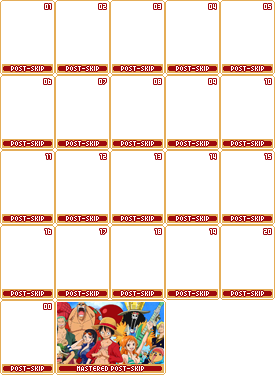 Round 208 of Scrapbook will be done in the first come, first serve system. Its theme will be Seiyuu: Toriumi Kousuke. This round will go up on Monday, December 11. ✔ Like i said before, this time you can donate to overtime even if you donated to that deck before! Second half will come up tomorrow evening or whenever all spots are filled, whichever happens faster! Round 205 of Scrapbook will be done in the first come, first serve system. Its theme will be Characters that are neither male nor female. This round will go up on Monday, November 6th. ✔ For donating you'll receive 3 random cards. Seiyuu: Ikue Ootani! Master badge will be Pikachu from Pokemon. ✔ For this deck, we are looking for characters who are voiced by Ikue Ootani! ✔ This is a first-come, first-serve style Scrapbook. The only factor that determines whether your submission places into the deck or not is your speed (providing that the submission is fully correct). Whether you've donated to Scrapbook 165 or 166 does not matter here, other than when it's release time. ✔ You MAY donate if you have already donated to Scrapbook 201 or Scrapbook 202, but remember that this lowers your chance to be picked in the Lottery. When it's release time, you may only claim one of the cards you donated. Don't be discouraged to try though since you'll get rewards anyway. ✔ Your image should be in color and fit our vertical template. I'll be coloring this round only if you can't find one where your couple is close enough and in color, but can find one where they're close enough and it's not in color. If it does not fit well or is not high quality enough, I will ask you for another pic. If we already have a deck of the character, please use an image we haven't used in the character's deck. If I notice you using an image we already have a card of, I will ask you for a different image. (You will not lose your spot though, so don't worry!) Help me out and check to see if your image has already been used in that character's deck! I can't stress this enough. ✔ This Scrapbook will remain open till October 2nd or until all spots are filled! ✔ No replying to comments if you don't any issues, please! It clutters up my email and inbox. Thanks in advance! ✔ For donating, you will receive 3 random cards. Please use this form when donating! Thanks in advance. If you haven't donated to Scrapbook 198 - Fire Element or Scrapbook 199 - Water Element, then please feel free to do that! Part 2 will go up tomorrow night! If you haven't donated to Scrapbook 198 - Fire Element or Scrapbook 199 - Water Element, then please feel free to do that! If you haven't already, please also consider donating to Scrapbook 197! Make sure yours hasn't been donated already! 10/10 slots taken! Thank you! Round 197 of Scrapbook will be done in the first come, first serve system. Its theme will be Seiyuu: Kugimiya Rie. This round will go up on Thursday, July 27. Scrapbook 192 & 193 Overtime! The theme for both of these are timeskips! Scrapbook 192 is for pre-timeskips and 193 is for post-timeskips! ✔ For pre-timeskips, I am looking for characters from the beginning of a series before any timeskips happen. For post-timeskips, I need the same character after the timeskip! Therefore, you will be submitting two images for your character. Look here for some series if you need to! And please check here to see which characters/series are taken! ✔ Remember that I'm not familiar with all canons and in many cases I'll be taking your word for the fact that the character you donated is a good fit for this deck. However, if you see a donation that you suspect might not be a good fit, do not hesitate to point it out or let me know if you'd rather not talk to the donor by yourself. ✔ After this round closes, 20 players will be chosen whose submissions will get included in the deck. Regardless of whether you are chosen or not, you will receive a prize - 3 random cards. ✔ You MAY donate a character someone else has donated to increase their chances of being included, but if that character gets picked for the deck, only the person whose submission was chosen can claim the card from the new release as their scrapbook freebie. Only one character per series will be picked. ✔ If your primary character is in the deck already, your secondary donation will be used. If both happen to be in the deck already, I'll move on to the next person, sorry! ✔ If you donate to Scrapbook 192, you MAY NOT donate to Scrapbook 193 unless it goes into overtime. 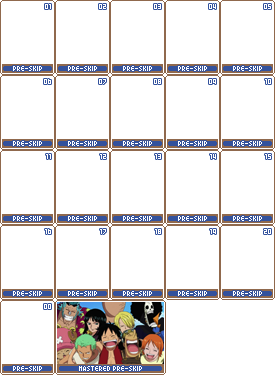 Since these are joint decks, they'll be filled at the same time! Post is now closed!! Thank you!